What is meant by multi-sensory teaching? Multi-sensory teaching is one important aspect of instruction for dyslexic students, which is used by clinically trained teachers. Effective instruction for students with dyslexia is also explicit, direct, cumulative, intensive, and focused on the structure of language. Multi-sensory learning involves the use of visual, auditory, and kinaesthetic-tactile pathways simultaneously to enhance memory and learning of written language. Links are consistently made between the visual (language we see), auditory (language we hear), and kinaesthetic-tactile (language symbols we feel) pathways when we are learning to read and spell. Teachers who use this approach can help students perceive the speech sounds in words (phonemes) by looking in the mirror when they speak or exaggerating the movements of their mouths. Students learn to link speech sounds (phonemes) to letters or letter patterns by saying sounds for letters they see, or writing letters for sounds they hear. As students learn a new letter or pattern (such as s or th), they may repeat five to seven words that are dictated by the teacher and contain the sound of the new letter or pattern; the students discover the sound that is the same in all the words. Next, they may look at the words written on a piece of paper or the chalkboard and discover the new letter or pattern. Finally, they carefully trace, copy, and write the letter(s) while saying the corresponding sound. The sound may be dictated by the teacher, and the letter name(s) given by the student. Students then read and spell words, phrases, and sentences using these patterns to build their reading fluency. 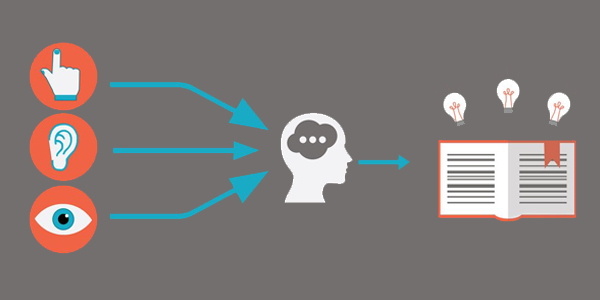 Teachers and their students rely on all three pathways for learning rather than focusing on a “whole word memory method,” a “tracing method,” or a “phonetic method” alone. The principle of combining movement with speech and reading is applied at other levels of language learning as well. Students may learn hand gestures to help them memorize the definition of a noun. Students may manipulate word cards to create sentences or classify the words in sentences by physically moving them into categories. They might move sentences around to make paragraphs. The elements of a story may be taught with reference to a three dimensional tactile aid. In all, the hand, body, and/or movement are used to support comprehension or production of language. What is the rationale behind multi-sensory, structured language teaching? 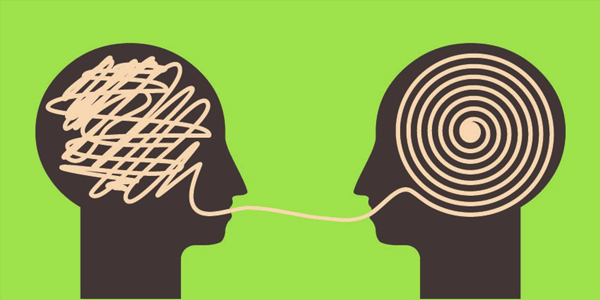 Students with dyslexia often exhibit weaknesses in underlying language skills involving speech sound (phonological) and print (orthographic) processing, and in building brain pathways that connect speech with print. The brain pathways used for reading and spelling must develop to connect the many brain areas and must transmit information with sufficient speed and accuracy. Most students with dyslexia have weak phonemic awareness, meaning they are unaware of the role sounds play in words. These students may also have difficulty rhyming words, blending sounds to make words, or segmenting words into sounds. Because of their trouble establishing associations between sounds and symbols, they also have trouble learning to recognize words automatically (“by sight”) or fast enough to allow comprehension. If they are not accurate with sounds or symbols, they will have trouble forming memories for common words, even the “little” words in students’ books. They need specialized instruction to master the alphabetic code and to form those memories. When taught by a multi-sensory approach, students have the advantage of learning alphabetic patterns and words with engagement of all learning modalities. Dr. Samuel Terry Orton, one of the first to recognize the syndrome of dyslexia in students, suggested that teaching the “fundamentals of phonic association with letter forms, both visually presented and reproduced in writing until the correct associations were built up,” would benefit students of all ages. Dr. Orton and his colleagues began using multi-sensory techniques in the mid-1920’s at the mobile mental health clinic he directed in Iowa. Dr. Orton was influenced by the kinaesthetic method described by Grace Fernald and Helen Keller. He suggested that kinaesthetic-tactile reinforcement of visual and auditory associations could correct the tendency of confusing similar letters and transposing the sequence of letters while reading and writing. For example, students who confuse b and d are taught to use consistent, different strokes in forming each letter. Students make the vertical line before drawing the circle in printing the letter b; they form the circle before drawing the vertical line in printing the letter d.
Anna Gillingham and Bessie Stillman based their original 1936 teaching manual for the “alphabetic method” on Dr. Orton’s theories. They combined multi-sensory techniques with teaching the structure of written English, including the sounds (phonemes), meaning units (morphemes such as prefixes, suffixes, and roots) and common spelling rules. The phrase “Orton-Gillingham approach” refers to the structured, sequential, multi-sensory techniques established by Dr. Orton, Ms. Gillingham, and their colleagues. Many programs today incorporate methods and principles first described in this foundational work, as well as other practices supported by research. Is there solid evidence that multisensory teaching is effective for students with dyslexia? Current research, much of it supported by the National Institute of Child Health and Human Development (NICHD), has demonstrated the value of explicit, structured language teaching for all students, especially those with dyslexia. Programs that work differ in their techniques but have many principles in common. The multi-sensory principle that is so valued by experienced clinicians has not yet been isolated in controlled, comparison studies of reading instruction, but most programs that work do include multi-sensory practice for symbol learning. Instructional approaches that are effective use direct, explicit teaching of letter-sound relationships, syllable patterns, and meaningful word parts, and provide a great deal of successful practice of skills that have been taught. Fluency-building exercises, vocabulary instruction, language comprehension and writing are also included in comprehensive programs of instruction and intervention. 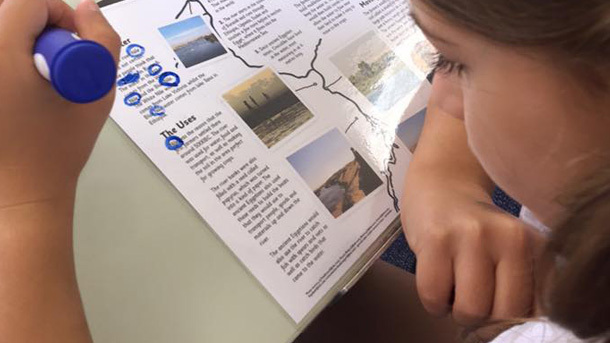 Word recognition and spelling skills are applied in meaningful reading and writing of sentences and text passages, and students receive immediate feedback if they make mistakes. Guessing at words and skipping words are discouraged and replaced by knowledge of how to analyse and read unknown words. Other key principles of instruction are listed below. Summary: What are the principles of a multisensory, structured language approach? Simultaneous, multi-sensory (VAKT): Teaching uses all learning pathways in the brain (i.e., visual, auditory, kinaesthetic-tactile) simultaneously or sequentially in order to enhance memory and learning. Systematic and Cumulative: multi-sensory language instruction requires that the organisation of material follows the logical order of the language. The sequence must begin with the easiest and most basic concepts and progress methodically to more difficult material. Each concept must also be based on those already learned. Concepts taught must be systematically reviewed to strengthen memory. Direct Instruction: The inferential learning of any concept cannot be taken for granted. Multi-sensory language instruction requires direct teaching of all concepts with continuous student-teacher interaction. Diagnostic Teaching: The teacher must be adept at flexible or individualised teaching. The teaching plan is based on careful and continuous assessment of the individual’s needs. The content presented must be mastered step by step for the student to progress. Comprehensive and Inclusive: All levels of language are addressed, often in parallel, including sounds (phonemes), symbols (graphemes), meaningful word parts (morphemes), word and phrase meanings (semantics), sentences (syntax), longer passages (discourse), and the social uses of language (pragmatics). 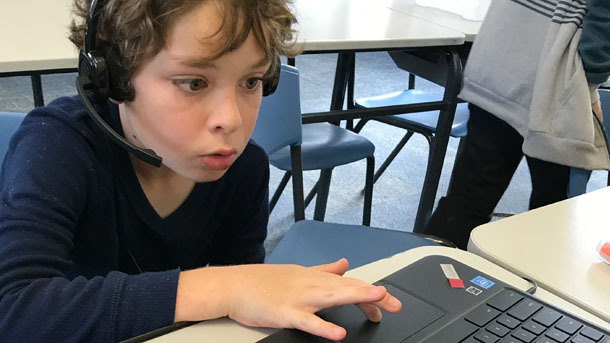 IDA has supported the development of a matrix of multi-sensory, structured language (MSL) programs to enable consumers to see the similarities and differences among various programs. The programs were chosen for inclusion in the matrix because they have a long history of use in clinics and classrooms where the programs have been refined over time. These programs included in the matrix are those used at every “tier” of student ability. Some are designed for whole class instruction to prevent academic failure. Some are designed for small group instruction. And some are designed for the intensive instruction needed for students with severe reading disabilities.